As part of my Overturned Trucks beat, I encounter a story almost daily about some foodstuff or another spilling into a public roadway: mac ‘n’ cheese, beef roasts, Bagel Bites, you name it. But what distinguishes this week’s report of a chicken tenders spill in Cherokee County, Alabama, and makes it newsworthy in and of itself, is that the county’s Emergency Management Agency has had to issue a declaration: Do not eat those chicken tenders. 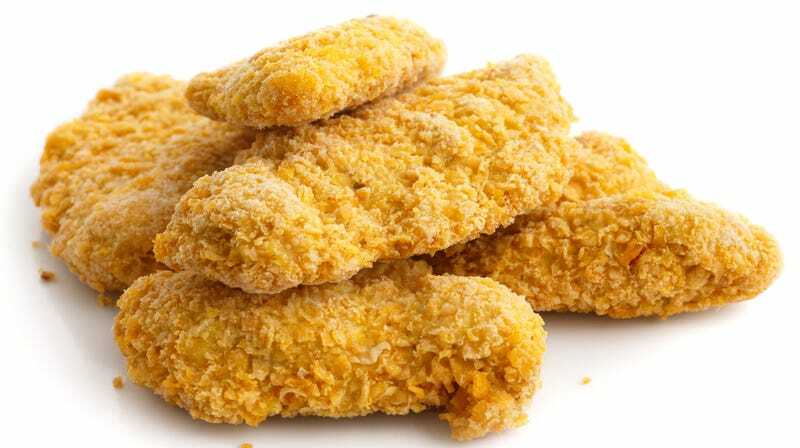 In a Facebook post, the Cherokee County Emergency Management Agency warns that while free chicken tenders may sound delicious, the boxes of tenders have rested on the side of the road for more than 24 hours following the 18-wheeler accident and are unsafe for human consumption. For those undeterred by the food safety warning, the agency further notes that “it’s a crime to impede the flow of traffic” and that anyone caught attempting to eat or take those tenders to-go could be charged with a crime. Details including the brand of chicken tenders, their seasonings, and whether they were previously frozen are not available at this time. The comments’ section is also a treasure trove of “winner winner chicken dinner” gifs, chicken-crossing-the-road jokes, and the phrase “chicken tender fender bender.” Peruse it as your leisure.